A large majority of training revolves around working the posterior chain, and rightly so. The posterior chain is the primary powerhouse of athletics. The grouping consists of the hamstrings, glute complex, low back, and I even include the mid and upper back as well as the calves into the posterior chain grouping, while most will refer only to the hams, glutes, and low back. Well in many sports the anterior chain plays just as important role as the posterior chain. When I refer to the anterior chain I’m referring to the corset of muscles comprising the abs, and also the hip flexors. This doesn’t invovle crunches and oblique twists, and such. (Quick note) I do NO traditional ab training. #1 These isolated movements don’t take place in athletics, and #2 they involve repeated flexion of the lumbar spine which is a giant no-no unless your interested in undergoing a 9 month rehab for a disc replacement. If you don’t believe me check out Stuart McGill’s Ultimate Back Fitness and Performance. Being able to brace and create stiffness in athletics is what allows one to dominate and another to fall to the wayside. Two perfect examples of the anterior chain importance would be a tennis players serve or a pitcher in mid stride to the plate. Considerable elasticity in the anterior chain! 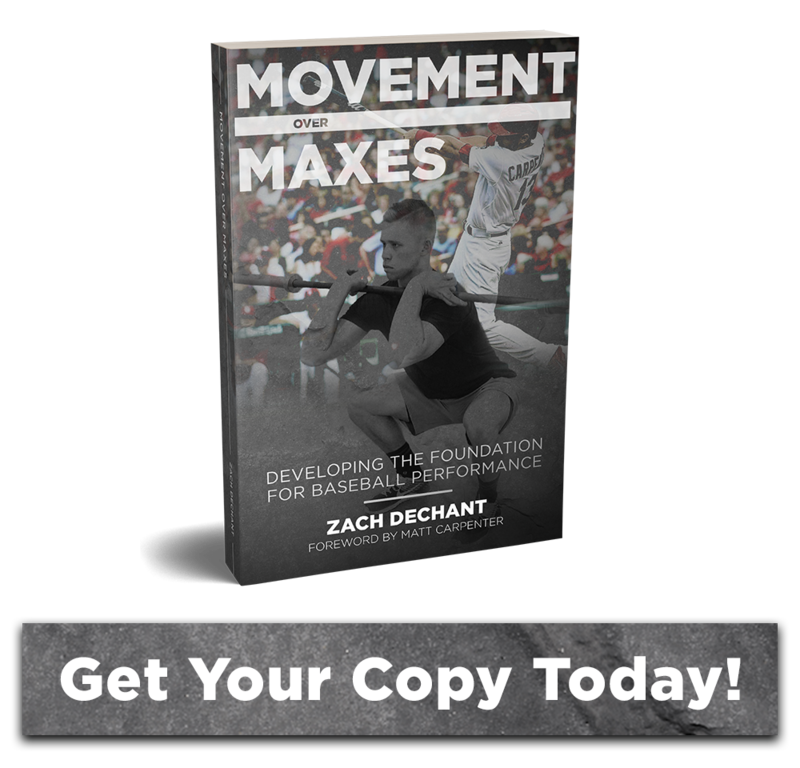 Each one of these movements requires a combination of anterior chain stiffness and elasticity. 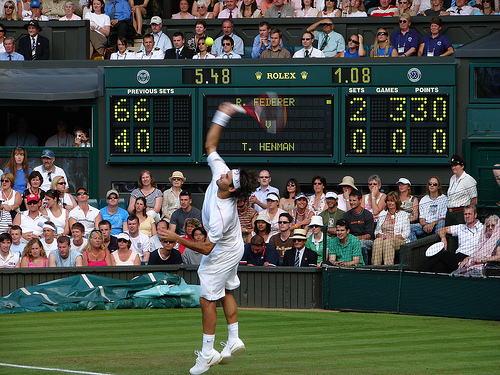 If Roger Federer couldn’t create super stiffness in his core during a serve at the moment of impact, all energy transfer from his hips to his racket would be lost, and a sub-par serve would result, not the 130+ mph gas that he usually produces. Our recent topic of T-Spine Mobility really pertains to the training of the anterior chain as well. I’ve beat to death having the ability to extend and rotate the T-Spine in rotational sports lately. Having super-stiffness in the anterior core and a mobile t-spine will allow for more much powerful rotational movements and help prevent injury to the low back. You can find the t-spine posts listed below. But in order to keep this post on topic I’ll let readers look at those on their own. After medball slams we add a rotational component. The hips stay square and we rotate and extend the t-spine into a front slam again. This is a great movement for tennis players. Our last video is or rainbow slams where we block the front hip and rotate the back hip through. Again this isn’t a crunching of the core. The core musculature must remain stiff to ensure power is transferred to the throw. If it doesn’t remain super stiff energy is lost resulting in a lackluster throw. The exact same thing that would happen on a baseball field or tennis court if the core musculature didn’t brace properly. Download All of the Slides, Videos, and more from Zach's Presentation at 2018 TCU Coaches Clinic! Where would you like us to send your downloads? 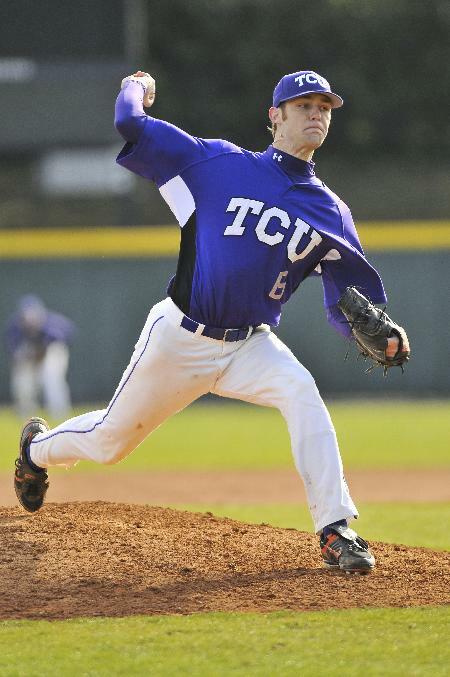 Download All of the Slides from Zach's Presentation at 2019 TCU Coaches Clinic! Where would you like us to send your PDF download?